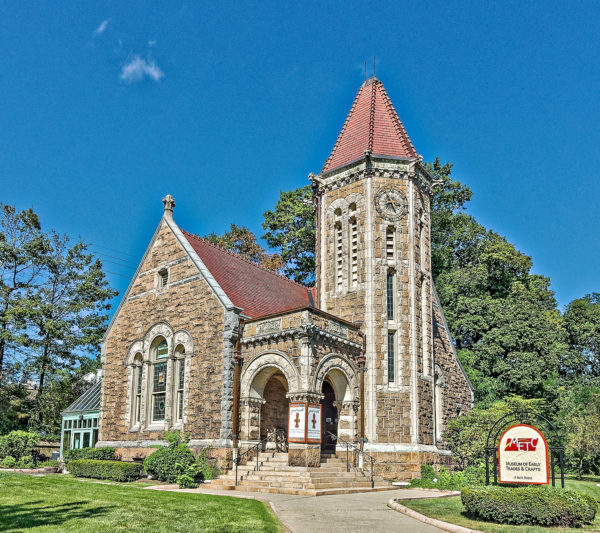 One of the gems of Madison is the Museum of Early Trades & Crafts, located at 9 Main Street. Housed in the beautiful James Library Building that was originally built as the town library in 1899, the museum provides a glimpse into the history, culture, and lives of New Jersey inhabitants from the past to current day. In a future post I will delve more deeply into why I love this museum so much, and all that it provides and contains, but for this post, I want to highlight the August one-day summer camps they are holding. As we all know, August is the inevitable "I'm bored" month. Summer camp offerings are starting to dry up, babysitters are heading back to college, and trips to the pool become monotonous. So, it is the perfect time to sign the kids up for a one-day camp at the Museum of Early Trades & Crafts. These four-hour long camps for ages 6 to 12 are fun and educational. (Shhhh! Don't tell the kids that they might learn something!) Each camp is held 10am-2pm. Camps are $45 per session ($35 for METC members); Discount rates: Any 3 sessions for $120 (METC members $95); All 5 sessions for $205 (METC members $155). There is a 10% sibling discount. Online, paper, and phone registration are all available. Check the METC Web site for registration info. The first one is this Tuesday, August 1, so register ASAP. Be an early New Jersey Farmer for a day, examine Museum artifacts to learn about early American farming practices, connect these historic practices to current farming trends, and pick herbs from METC's herb garden. Make a handcrafted working lamp under the guidance of professional craftsman Tyler Merson of Codfish Park Design. Bring your creativity and get hands-on experience with woodworking tools while learning about the history and future of carpentry. NOTE: There is an additional $15 per camper charge for materials for this camp. Create a zoetrope--an early form of motion pictures and delve into the world of optics and early American eyeglasses! Examine early eye care technology and design your own pair of zany glasses to take home. Donation opportunity! Campers can bring used eyeglasses to give to those in need. Explore the STEM behind the beauty of the historic James Library Building, home to METC. Campers will tour this Richardsonian Romanesque Revival style building with stunning stained glass windows and discover the differences between form, function and decoration. Create "stained glass" and make art with rubbings and stencils from the museum. Become an archaeologist for a day! Get your hands dirty and excavate objects in a miniature archaeological dig guided by our staff. Using and examining current and historic dig tools, campers will discover how historic objects found in the ground can demonstrate how people lived, worked and played. The museum is open 10am-4pm, Tuesday through Saturday; noon-5pm Sunday (Closed on Sundays in July and August.) Closed Mondays. Adults are $5; Students, children, and adults 62+ are $3; METC members and children under 6 are free; Family maximum rate is $15.